C & T Lawns in Southlake, Texas, is also a trusted provider of irrigation services and the installation of beautiful lighting systems. We will improve the curb appeal of your home or business. We feature complete irrigation design and installation, as well as the repair of existing systems. From the installation of new systems to the construction of drainage systems, we are equipped to provide you with the best service. 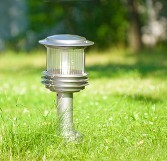 Our team also provides landscape lighting services. We specialize in the installation of low-voltage lighting systems to enhance the landscaping and other aspects of your home or business. You can also have us install special systems for your favorite holidays, and we provide an organized removal when the holiday is over. Contact our friendly staff today to request one of our irrigation or lighting services!